Luxury holiday home near the New Forest . Free WiFi. TV and DVD player. Full size cooker. Microwave. BBQ. Washing machine Ten minutes walk from the sea. Close to the New Forest National Park and the Isle of Wight. Shorefield Country Park is a fabulous 5 star rated holiday park set in 100 acres of delightful landscaped parkland. It's a perfect location positioned between the New Forest and the beach. With a great range of holiday accommodation to relax in or to use as a base to explore awaits you. Attractions including Beaulieu Motor Museum, Hurst Castle, Paultons Park, Peppa Pig World are all close by. Even though I had a short weekend I enjoyed every single part of it! The caravan was amazing and the facilities at the caravan park topped it off! Loved staying here. Everything is catered for and well thought out. Nice big rooms and little touches like DVDs, books, hand wash.
We stayed here for one night to attend a family function nearby. The holiday home was very well presented, clean and tidy. It was extremely comfortable and spacious. 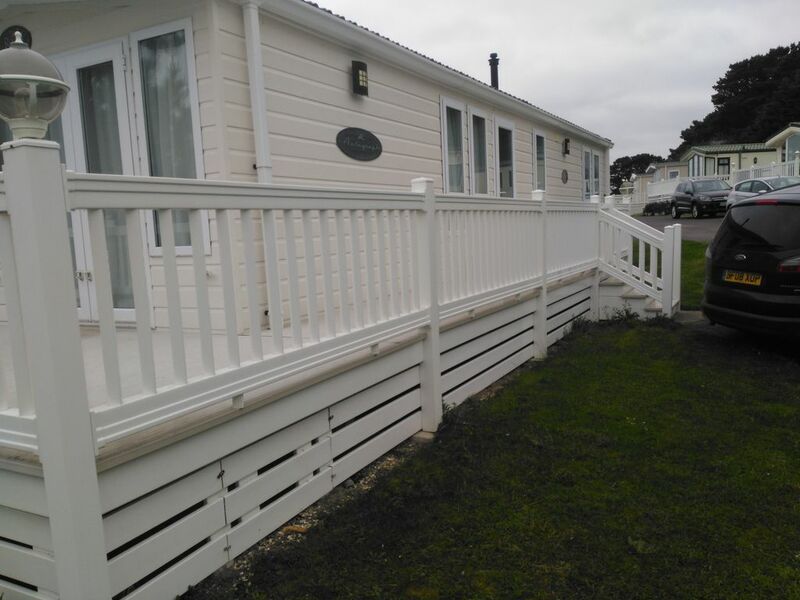 We know Shorefield Holiday Park very well having previously owned our own place there several years ago. It is reassuring to know that the Park is still very well kept, peaceful and relaxing. Contact with the owner was swift and reliable. One thing to note if you do stay here is to bring your own bath towels as they are not provided. We loved our short stay and would definitely return. Thank you Adrian. Easy to book- slight miscommunication on arrival but owner was easy to contact to rectify. A Lovely property for our two day stay. Unfortunately we were not prepared for an evident ant invasion which ruined our daughters birthday cake. :( and a few other bits and pieces of food that we bought to self-cater. Had to throw everything away. Overall would still Recommend but maybe find out in advance if the ant problem is seasonal or rectified.